Are you in the market for a new caravan fridge? Well, make sure that you also purchase a good quality fridge slide to make the fridge easy to access, as well as drawer slides and even a cargo drawer system to keep everything neat and tidy. 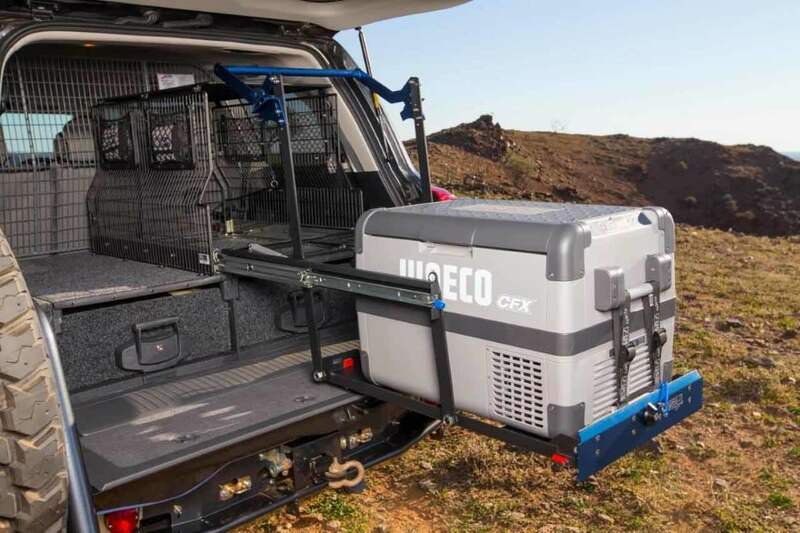 Anyone who has ever been camping will tell you that a fridge beats an esky hands down, particularly when they can be easily accessed using an aluminium fridge slide and cargo drawer system. Some people however, are concerned that they will use too much power, which might have been true a few years ago, but the new modern fridges are very energy efficient drawing less than 100 watts that is more than manageable with an extra deep cell battery. Quality fridges will last for many years, so always buy the biggest and the best quality fridge you can afford. You might think that a small fridge will do for the time being, but if you family grows or friends tag along, you will be grateful for the larger fridge. As mentioned above, you will need to install a fridge slide and drawer system as well, otherwise you will have to manhandle the fridge every time you want to get something out of it. Fridge slides, drawer slides and drawer systems don’t cost very much and are well worth the effort of installing in your caravan, camper trailer or 4WD. Portability is the key word here, because if your fridge is portable, you can use it in the garage, camper trailer or caravan, even taking it to the beach in the back of your 4WD. Don’t be afraid to move your fridge around, because they are designed to be portable and this flexibility helps you to get the most out of your purchase. Fridges with sturdy handles and a tough exterior can handle plenty of knocks and the pull out drawer slides help you to get a good grip when it needs to be moved. What about a fridge freezer? Many campers don’t realise that you can now buy portable fridge freezers for your caravans, camper trailers and 4WDs. Some of them can alternate between freezing and cooling, while others have two sections for both cooling and freezing. How awesome will you look when you dig out a cool beer and then some ice cream for a quick snack on the beach! For quality fridge slides, drawer slides and drawer systems that are designed for our tough Aussie conditions, call Trailer Parts Direct on 1300 210 549 or send us an email.